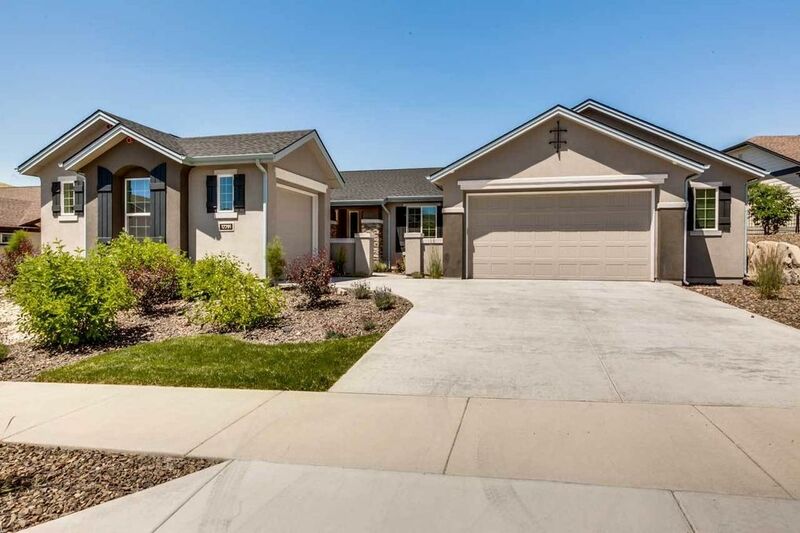 Built in 2014, this home is gorgeous and lives like new! Full window treatments, fencing and established landscaping! Spacious single level floorplan with split bedrooms and formal dining/office gives tremendous flexibility and privacy. Fabulous location within the beautiful foothills community of Avimor, adjacent to community walking path that leads to park and community center and just a block from nature trails. Covered north-facing patio is shady and peaceful. Split garages for workshop potential.